Huyck Preserve's historic buildings are available for your event! Meeting space, classroom space, and overnight accommodations are available for rent for group events. Facilities are not available for family and personal visits at this time - only for organizational events. Please contact the Executive Director to schedule your visit. For more information and for rental rates, please follow the links below. 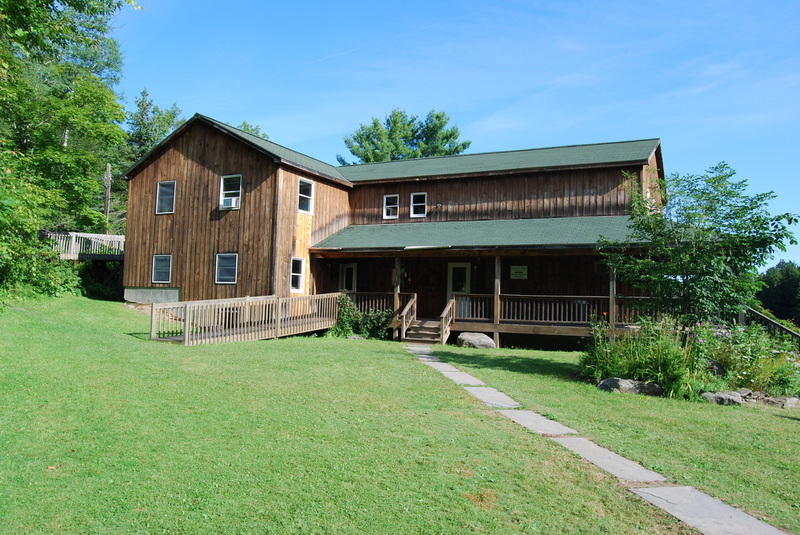 The Bullfrog camp complex is two buildings nestled on the on a hill overlooking Lincoln Pond. Bullfrog camp, pictured right, has 3 rooms, housing up to 12, a kitchen, living room, and porch overlooking the pond. The Bathhouse is beside the camp and has three private shower stalls and toilets. Birdhouse cabin, pictured below, is a private cabin with a porch overlooking a seasonal creek that flows into Lincoln Pond. This single room cottage with loft is equipped with a futon on the lower level and a full sized bed in the loft. A simple kitchen and a bathroom with a shower complete the cabin. The Camp Complex, which includes Bullfrog, Birdhouse, and Horse Cabin, houses up to 15 people. Remodeled in 2012, Lincoln Pond Cottage sits next to the spillway on Lincoln Pond. Its back porch offers a panoramic view of the pond. Right across the lawn from the Eldridge Research Center, Lincoln Pond Cottage was built circa 1790 as part of the milling operations. The cottage has 2 bathrooms, a spacious kitchen with dining space, living room, and 4 bedrooms with 2-4 twin sized beds or bunk beds. It houses up to 13 people. 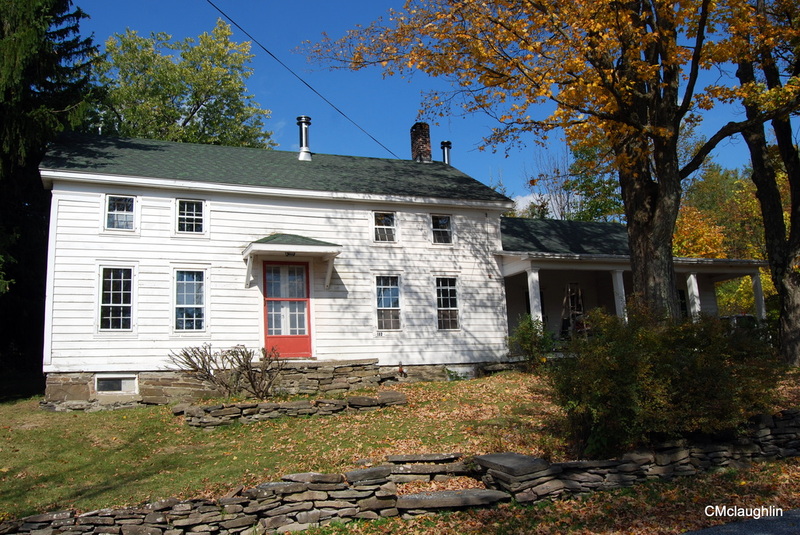 Right off of Ordway Trail and overlooking Lake Myosotis, Ordway House is located on Pond Hill Rd. between the Lake Myosotis Beach and the Eldridge Research Center. The two story building features five bedrooms, three bathrooms, a spacious kitchen and, dining room, and a cozy living room. Bedrooms are quipped with twin sized beds. Accommodates up to 14. The Eldridge Research Station was redone in 1998. Originally a barn for milling operations, the building was the site of Donald Griffin's research on bat echolocation before being converted in a Research station. This 6000 square foot facility includes an education room, conference room, and wet and dry lab space. Equipment available for research use includes a drying oven, small autoclave, incubator, weigh scales, dissecting scope, and a 4.5 cubic foot refrigerator (no freezer). Limited satellite internet is available for basic browsing/email. If you need more bandwidth or faster connection speeds, cable internet is also available in the Visitor Center. Guests requiring more than light internet usage are strongly encouraged to bring their own Verizon mobile hotspot.